French writer (1802-1870). Autograph letter signed. n. p. n. d. 8vo. 1 page. 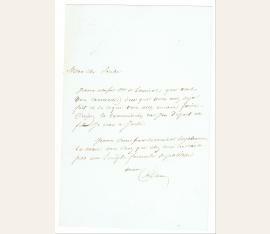 Dumas asks the French writer and librettist Eugène Scribe (1791-1861) for a favour to assist his friend Mr de Lancival. 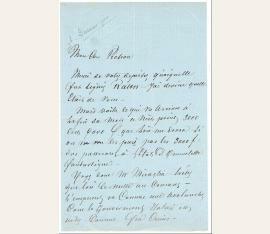 "Mon cher Scribe, Je vous adresse Mr Lancival qui veut vous remercier de ce que vous allez encore faire. Pressez la commission car son départ est fixé je crois à jeudi. Je vous serre franchement loyalement la main, vous savez c que chez moi ce n'est pas une simple formalité de politesse“. French writer (1802-1870). Signed and inscribed sepia cabinet photograph. No place. 97:61 mm. A very fine signed and inscribed sepia cabinet photograph, the Alophe image from Paris depicting the author standing in a full length formal pose. 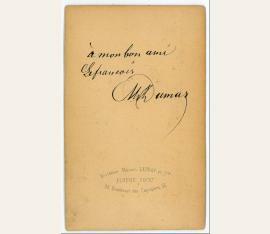 Signed and inscribed to the verso ("To my friend Lefrançois, Al. 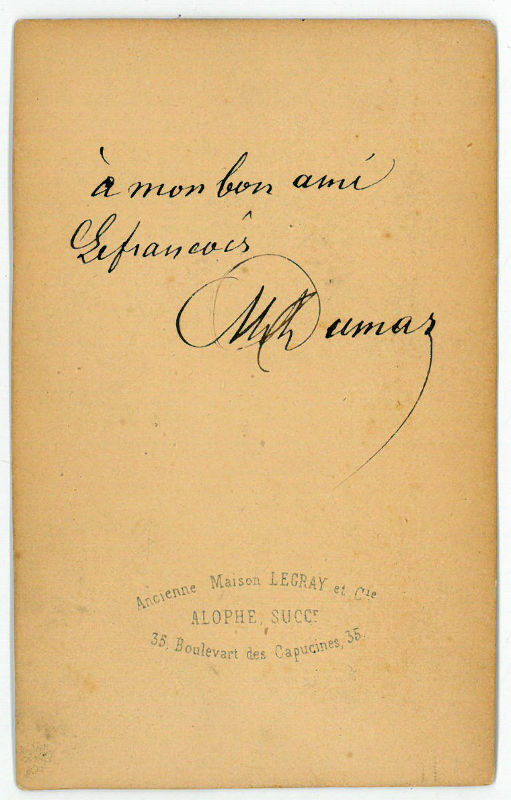 Dumas"), in French. Extremely small age wear, otherwise in fine condition. French writer (1802-1870). 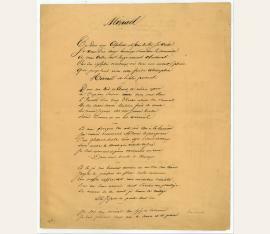 "Mizraël". 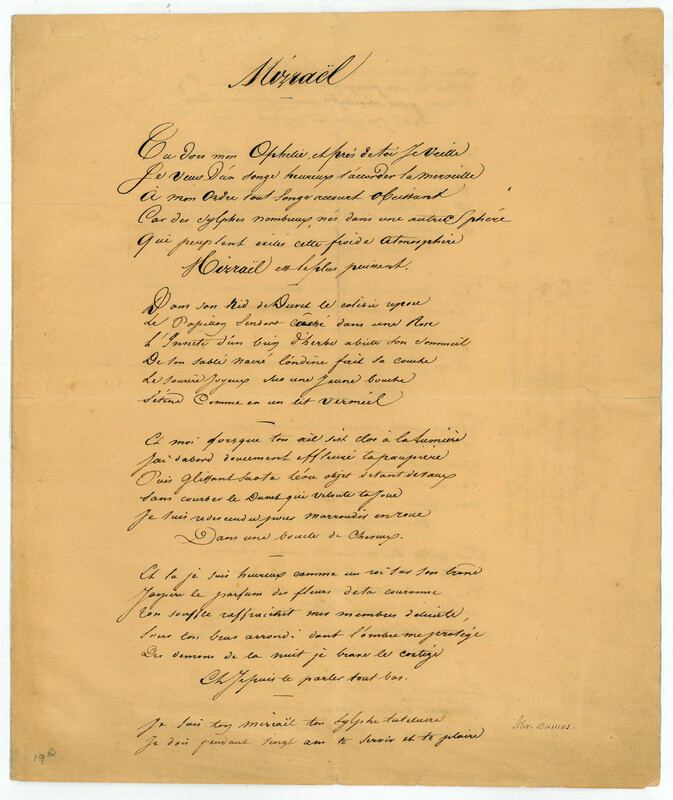 Autograph manuscript poem. No place or date. 4to. 3 pp. on bifolium. 15 stanzas with 6 lines each. Together with an albumen silver print (85 x 54 mm, matted). 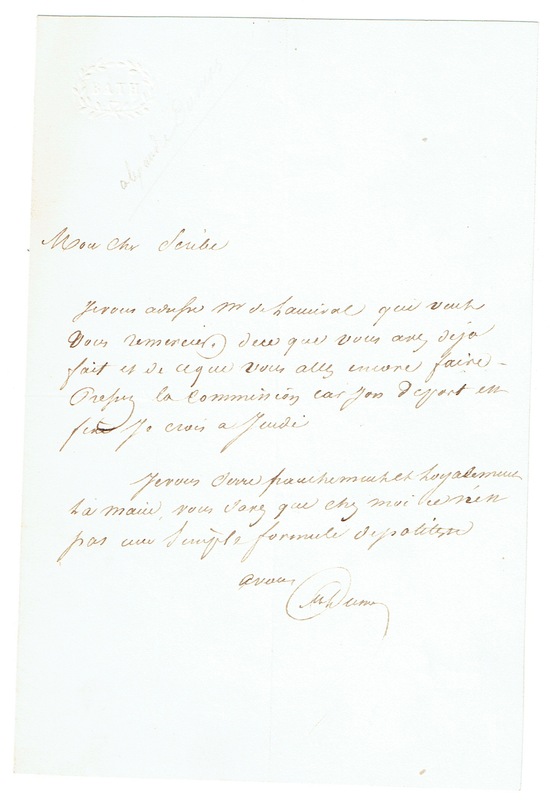 Three pages on a bifolium, handwritten by Dumas entirely in French. "Alex. Dumas" is printed in an unknown hand at bottom right corner of top page. The albumen print pictures Dumas sitting down with his hands resting on cane. - Paper has been reinforced with archival material on verso at folds. Toning throughout, a bit darker at edges. "19B" has been written in pencil on the lower left corner of top page. Image has some speckling and slight buckling, but remains very attractive.